Computer technology plays an increasingly important role in the life of every person. Microphones a device that converts sound signals into electrical allow the computer to perceive, to hear, to analyze, transmit and store sound. Purchase a special adapter that he at the entrance was the nest big Jack, and the output is a small Jack that will be included in socket of your sound card. This is because most modern dynamic microphones have a large Jack, or 6.35 mm TRS. Plug the microphone into the adapter, and the adapter insert the pink connector on your sound card. Destination of connectors on soundcard may vary with special advanced drivers. Make sure the pink plug is you input (by default, the pink connector is used for microphone). As a rule, to call the control panel with this driver is possible via the corresponding icon in the system tray. If it's not, it will invoke it through the Windows control panel, under "sounds, speech and audio devices". In the system tray (a small panel in the lower right corner where the clock is located) click right click on the speaker icon. In the context menu, select "configure audio settings". Next go to the tab "Audio" where you will see three settings: "sound Playback" "sound Recording" and "MIDI music Playback". Under "sound Recording" click "Volume...". In the opened window, recording level adjust the microphone volume. Under each fader adjusts the level of recording devices, there is a place for show, which completely suppresses a device. Make sure the tick is removed with the master fader, which adjusts the recording level in all devices at the same time, and in particular from the microphone. 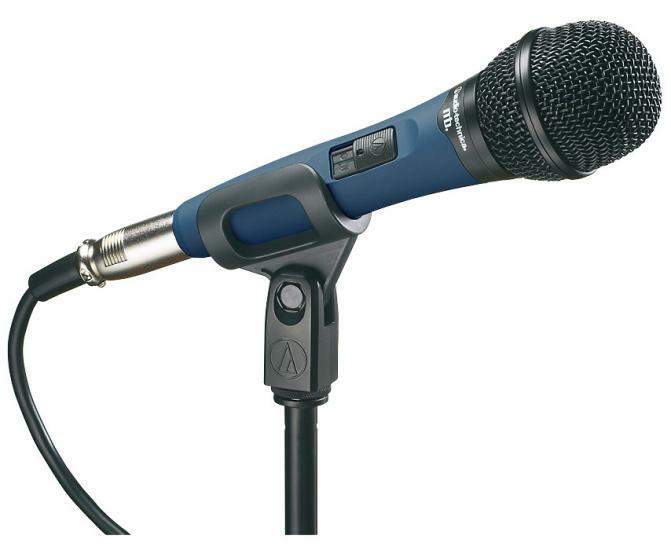 To connect karaoke, it is best to use professional microphones with 6.35 mm Jack. And for superior sound quality, connect the computer to the music center via line-in input and select the AUX mode. One of the most popular features of the Internet, which really is a means of uniting many is available in unlimited communication with persons in the most different parts of the world. However, the computer itself, consisting of a monitor and system unit, is not yet ready to play the role of a full-fledged Communicator. To take advantage of all the pleasures of the Internet, need to connect headphones with a microphone. First of all determine whether the computer audio device I / o, or as it is commonly called a sound card. Sound card can be integrated into the motherboard and installed in a separate slot in the system unit. If the sound card is missing, buy it and set previously by installing all the necessary drivers. For the purposes of communication expensive sound card is not needed: it is fit a simple model in which should be connectors under earphones with microphone. After reviewing the user's manual of the sound card, determine which of the connectors on it is for connection of microphone, headphones and other devices. Often the corresponding slots on the map mark specific colors to facilitate the installation of appropriate devices. Insert the connectors of the MIC and headphone in the intended nest. Turn on the computer. Go to the control Panel to configure audio devices. 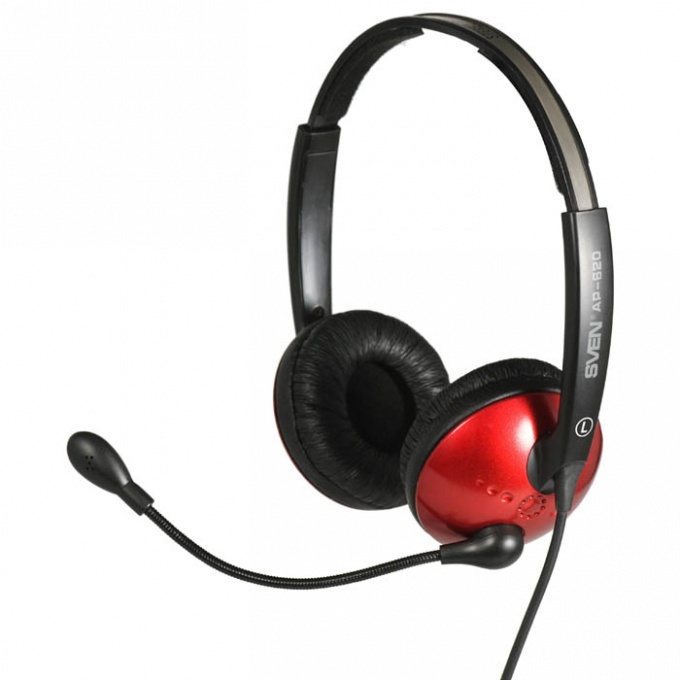 With the help of special options in Windows to adjust the volume and other parameters headphone and microphone. When you're finished, don't forget to install on your computer a special program that allows you to communicate with the world, such as Skype, Gizmo, GoogleTalk, and MailRu Agent. Don't mix up the headphone Jack with the microphone Jack. You can connect headphones to computer in two ways: via USB or via special connectors on the PC. If the USB connection does not require any settings when you connect headphones through the cord you need to set the appropriate parameters. Connect the headphones to the computer via a cord. If you notice the plug on the cord end, you will see that it is painted in green color. Such coloration is not accidental. On the back of the computer hosting multiple connectors, each of which has a specific color. When you connect headphones, the colour of the plugs should be the same color connector. Insert the plug into the green connector, then notice the Desk. Here a window will appear where you must specify the type of the connected device. Next to "Headphones" check the box and click "OK". The headphones are plugged in. Connect the headphones via USB. Such headphones do not provide a wired connection to a PC. To start working, you need to install software on the computer. To do this, insert the floppy disk with the drivers from the headphones and install it, keeping the default settings. After installing the required software, you need to insert into the USB port of a special transmitter, which you'll find included with the headphones. Inserting it into the port, wait for the automated identification of the transmitter system. After identifying headphones will be ready to work, you just have to switch the switch in the "ON" position. In rare cases, the system may prompt for a restart for the correct operation of the device. ? Connecting headphones with a microphone to the computer, you need to perform tuning of the equipment. Hardware configuration, in turn, is impossible without installed drivers for your sound card. Based on this, connect your device to the computer may result to the user is quite a troublesome procedure. 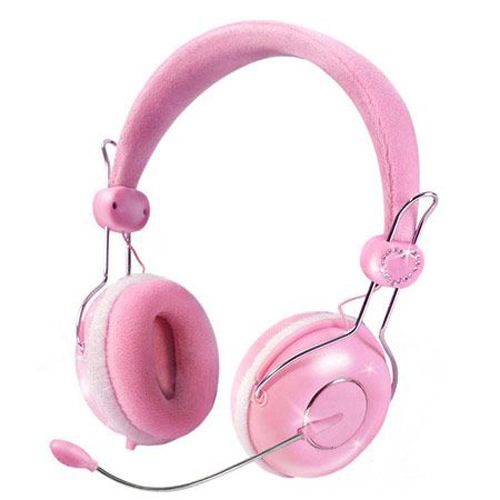 Computer, headphones, includes a microphone. Make sure that your computer software installed for your sound card. If the driver is not installed, follow their installation by inserting in the drive the boot disk with the necessary (the disk should be supplied with computer/sound card). Run the driver installation in the default folder, and restart the system. After the computer restarts, you will see the agent icon of the sound card, which will be located in the system tray. Now you can begin to connect the headphones and microphone on them. If you notice at the end of the wire the device, you will see it is split into two parts, the tail, with a pink and green plug. Pink plug to the microphone, respectively, the green plug headphone Jack. Insert the green plug into the corresponding color connector on the rear panel of the computer. On the desktop the window Manager the sound card where you need to identify the connected device as a headphone. Apply the settings and check whether the sound playback. After you go to the microphone connection. Insert the pink plug into the socket, which will correspond to its color (this nest is also located on the rear panel of your PC). Manager sound card again cause on the desktop dialog box. In this window you need to identify the connected device as a microphone. When connecting wireless headphones with microphone such manipulation is not necessary. 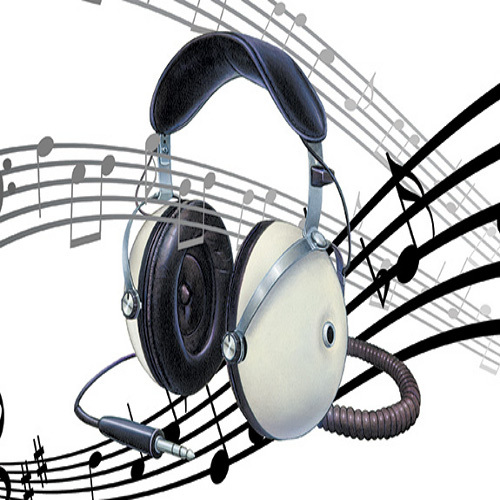 Headphones - one of the many useful inventions of mankind, which allows you to listen to loud music, watch movies or play games at the time like the rest of us. So how do you connect headphones to the computer? Usually, headphones don't need to set up. All you have to do is to stick the plug of the device into the green Jack. If there is already a cord (speakers) to remove it. It happens that the diameter of the inlet and outlet do not match, in this case you need an adapter ("jack"-" "sockets"). 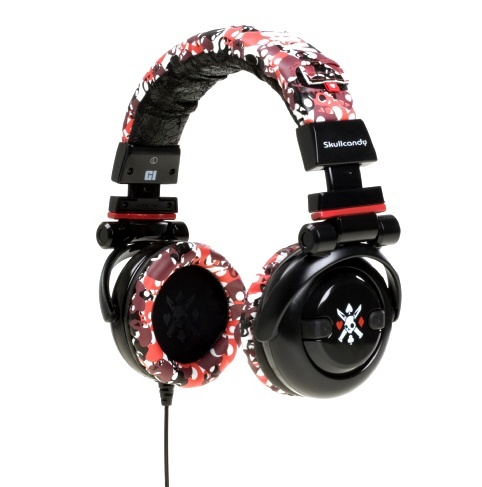 If, having done all the above steps you still wondering How to configure the headphones? ", means no sound, and you need to look for the problem. First, it is important that the plug was stuck to the stop. Second, the volume of the sound is probably very low. Click on the loudspeaker icon near the system clock and set the maximum volume level. Check whether the condition without sound. If possible, test the headset on another PC. You need to exclude the possibility of factory defects. There are models that have their own volume control. See whether it at least. Malfunction of the connector to connect the device or inaccurate connection to the sound card - another possible cause of the problem settings headphones. Plug in the Jack headphones or other speakers to check out. Often when building a computer wire front panel remain unattached. To verify whether this is so, you need the headphone cord to plug into the socket on the rear panel (habitual speakers). If the audio plays then the problem is in the socket of the front panel. If no sound, maybe it's the sound card driver. Then you should install the driver. It can be found on the disk that came with the computer or graphics card. It is also possible to find the latest version of the correct driver on the Internet. By the way, if you are using headphones with microphone, plug the microphone to be inserted into connector pink. On the next screen click start = > control Panel = > Sounds and audio devices". Next, in the tab "Speech" select volume setting recording and playback of voice through the microphone. On the microphone make volume. Now you can enjoy the sound and communication. 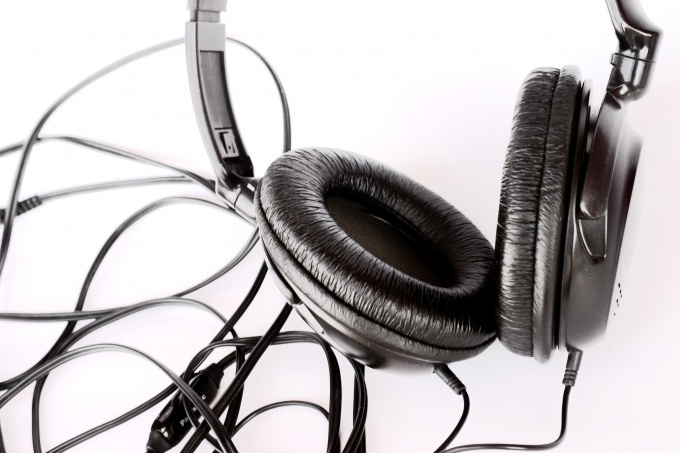 Today, there are two ways to connect a headphone with a microphone to a personal computer. It should be noted that the number of ways corresponds to the number of varieties of connected devices, all of which can be wireless and equipped with connecting cord. Computer, headphones with microphone, device driver. Initially you should consider the way to connect to computer earphone with microphone, equipped with connecting wire. This method is the most simple and fast compared to the wireless type of similar device. To connect headphones with MIC to PC, you need to insert the plug of the device into the socket of the sound card that will match their color. After inserting the plugs into the jacks on the sound card on the desktop, you may receive a dialog box requiring specification of the type of the connected device. You need to specify parameters in accordance with type connecting the earphone plug, check the option "headphone" and press "OK". Connecting the microphone, set its respective parameter, and then save the changes. If in the connection dialog box never showed up, so we need a device type was automatically detected by the operating system. 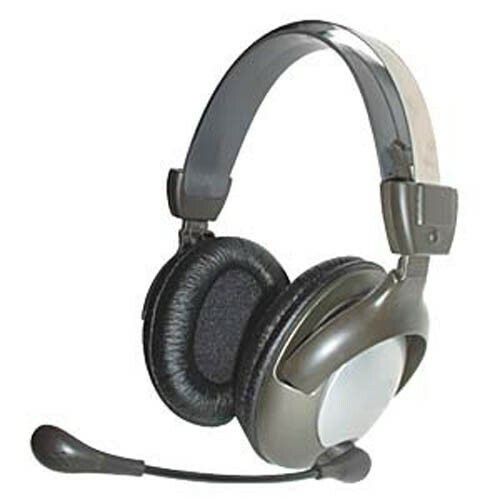 To connect to a computer wireless headphones with MIC, you first need to install on your PC the necessary drivers (the software you need comes complete with headphones). Install the device driver and restart the system. After the computer becomes available for use after restart, insert the USB dongle device to an available port and wait for its detection. Once on the desktop you will see information about the successful identification of the device, you can use headphones with a microphone, bringing the switch to the "ON"position. Poor sound or low quality playback often associated with the work of the microphoneconnected or built in to your computer. Problems with the microphone not always associated with manufacturing defects. Most often you need to change some software settings on the computer, and thereby increase the sensitivity of the device. Launch the Windows mixer. Its the icon with the image dynamics is in the lower right corner. If the icons of the mixer there is, perhaps, his display is disabled. Click start – control Panel – Sounds and audio devices and tick the “Show icon on taskbar”. Double click on the icon call up the mixer volume settings. If the mixer has no volume control of the microphone, then click Options – Properties and tick the microphone. Save the changes. When you see the volume control of the microphone, you must set the desired volume level. The next step is to switch the mixer in recording mode to adjust the controllers input. In the mixer window, click Options – Properties – Recording. Now the window is called the record Level. Be sure to check below this window next to the Selected tick. Click the Settings button. A check mark in the lower right corner opposite the 20db Boost will increase the gain sensitivity of the microphone by 20 decibels. Finally, adjust the parameters in the area of Volume and Balance with vertical and horizontal regulator. Guide voice test - are you satisfied with the sound. If not, then raise the volume control even higher, and can be directly to the maximum level. Once you have found the best volume level, you can experiment with balancing (horizontal slider). Its movement in one direction or another will give a sounding voice either stiffness or softness. If all the settings are done, but the person still voice does not reach, you should check the settings in Scype or other program for voice messaging. As a microphone the program can use the wrong device. Select Menu – Tools – Settings – audio settings – Microphone, there select the device that Skype can use as a microphone. 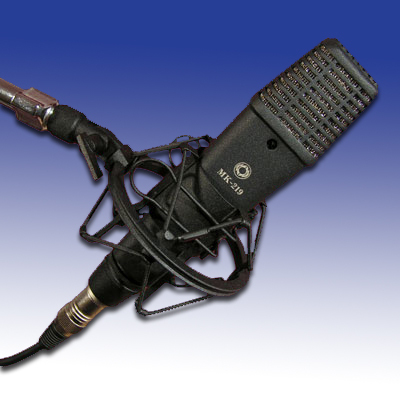 If a new MIC is bad or does not work – it does not mean that you bought a defective item. The microphone should be configured correctly. How well you hear the other party, depends on the sensitivity of the microphone. It can be adjusted. Open the settings of your microphone. Let's see how you set the sensitivity. If it is low, increase it and try the MIC in action again. If I heard a little better, but the quality still does not suit you, increase the sensitivity until the level until the sound does not seem optimal. If the sensitivity has already reached the maximum level and still not hear what you say through the microphone, you will need to more thoroughly deal with the settings of the microphone. Launch the Windows mixer. On the taskbar in the lower right corner, double click on the icon "Volume", it looks like a round speaker. If the icon does not appear, it can be easily disabled. Then press "start" go to "control Panel" and open "Sounds and audio devices" (the name may be slightly different depending on your operating system). Next to Show icon on the taskbar" check the box. If the icon does not appear, then check if on your computer the audio drivers. Their incorrect operation or a lack of can be one of the causes of problems with the microphone. In this case, install or reinstall sound drivers relevant to your operating system. If in a running mixer does not display the controller 's microphone, via the menu "Settings" go to "Properties" and turn on the controller. Uncheck "Off" to check whether the microphone, blow into it. If from the speakers will rustle, so that's all right. Return the mark "Off", otherwise, all the noises and your voice you will hear through your speakers. Switch the mixer mode to "Recording" tab of "Properties". Check the box Selected ("On"). Now open settings. Note the line "20db Boost" – this will add a notable 20 decibels to the sensitivity of the microphone. If the microphone still does not work, but his health you are sure, check whether the stuck plugs. In addition, check the settings of the program through which you make audio/video calls (Skype), Mail Agent, etc.). Can be so that the microphone is selected by default is not the device that you have connected. The sensitivity of modern microphones is 1-2 (dynamic microphones) to 10-15 (condenser microphones) mV/PA. The higher the value, the higher the sensitivity of the microphone. Thus, a microphone with a sensitivity of -75 dB less sensitive than -54 dB, and with the designation of 2 mV/PA is less sensitive than 20 mV/PA. For the full implementation of all capabilities of the Android OS, you must obtain root access after doing this procedure you will be able to customize and optimize hardware and software of the phone. Many users of smartphones based on Android OS complain about the low sensitivity of the microphone, or as they say on low volume. 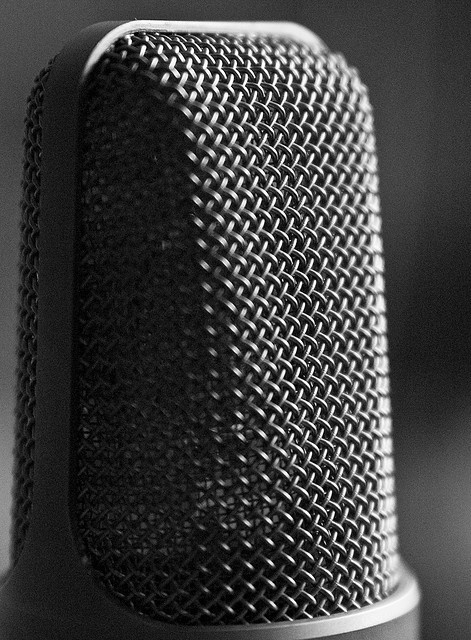 When selecting a microphone it is necessary to pay attention not only to the required specifications. Important to be and its inimitable sound, capable of reproducing every nuance of your voice. For this you will need to choose "by eye", and listen and compare. In stores the price tags on the various microphones, you can see the inscription "Universal". The purpose of these tools is quite diverse, including vocal. So opt is on similar models. Also buyers can see the type of each microphone, for example, the dynamic. 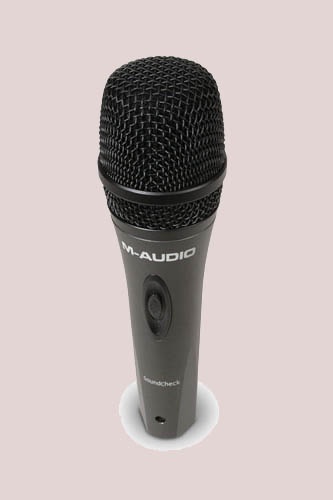 Typically, the microphones of this type are durable, difficult to damage or to overload too loud sound (the only exception is a ribbon dynamic microphone). In addition, they do not require power. Technique is arranged this way: a coil of very thin wire, which is in the field of a permanent magnet attached to the membrane. And the electric signal is used as time for the recording of sound is produced by vibration of the membrane. The following are important when choosing the number is the maximum acoustic pressure. It means a number that indicates how sound can pass the microphone without distortion. And if you're going to buy a MIC for vocals, pay close attention to the value of this parameter. In that case, if you are important and ease of use, ease of use, low cost, small size, it is recommended to purchase a wireless microphone, then eats the one that is equipped with a radio transmission of audio information. The microphone itself will determine the area of acoustic sensitivity (20-30 meters) and the transmitter will set the range of the radio link. The main parameter for the latter would be the power stability of the carrier frequency and the modulation type and frequency range. It should be noted that such radios are often used in the performance on stage. But don't forget that if you have multiple microphones of this type may experience strong interference. How to choose a microphone? Before you go to the store and buy a microphone, ask yourself a question: why do I need a microphone? To this question the following answers: - voice recording in the Studio; onstage performance; recording acoustic instruments (guitars, fortepiano, brass, percussion); - miking acoustic instruments. 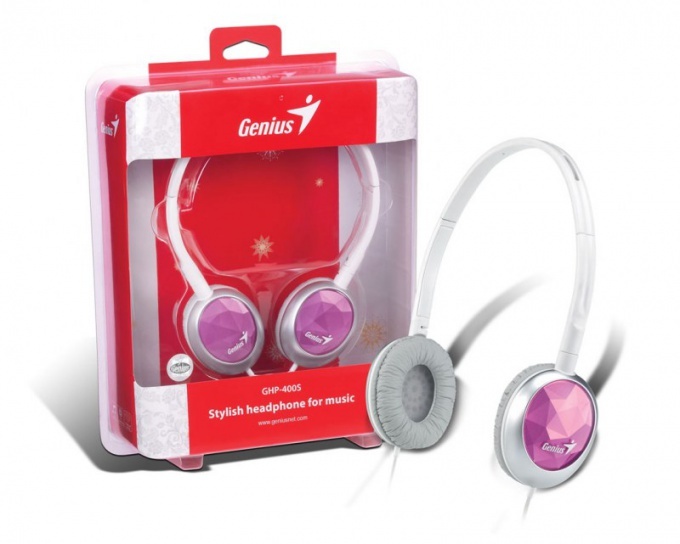 Headphones Genius that go along with the MIC, is no more difficult than connecting these devices to the computer separately. The key thing here is not to confuse one with the other connector. Make sure that your sound card has the necessary driver. If you have a regular computer, turn the system unit and locate the connectors of the sound card. There may be two, three or even more 5 - it all depends on its type. You need green and pink. Also note on the side wall of the housing and its front panel – a modern computer model output sockets for headphones so you don't have to turn the system unit when connecting devices. Many keyboards and monitors can also serve as transitional devices for headphones and microphones. Connect the microphone cable to the connector on the computer with the corresponding pictogram, plug from the headphones into the connector next. Follow the color scheme of the connection or pay attention to labels and icons, they must match. Usually the connector for a microphone is to the right, however, it may depend on the model of sound card of your computer. If you have a laptop, look on the front panel of the housing connectors of the sound card. They can also be on the right and left sides of the device. Also, be color scheme, and follow the steps in legend of pictograms and inscriptions, do not forget about the necessity of installing a device driver. In menu "control Panel" to navigate to settings, sounds and audio devices, change them according to your desire and make sure they are correct, for example, making a trial in the special application service "Skype" and so on. If the device does not work, check the volume on the sound card in the notification area, adjust volume level of the program and a special switch on the wires headphone Genius, which happens in some models. Pay attention to the icon when connected.